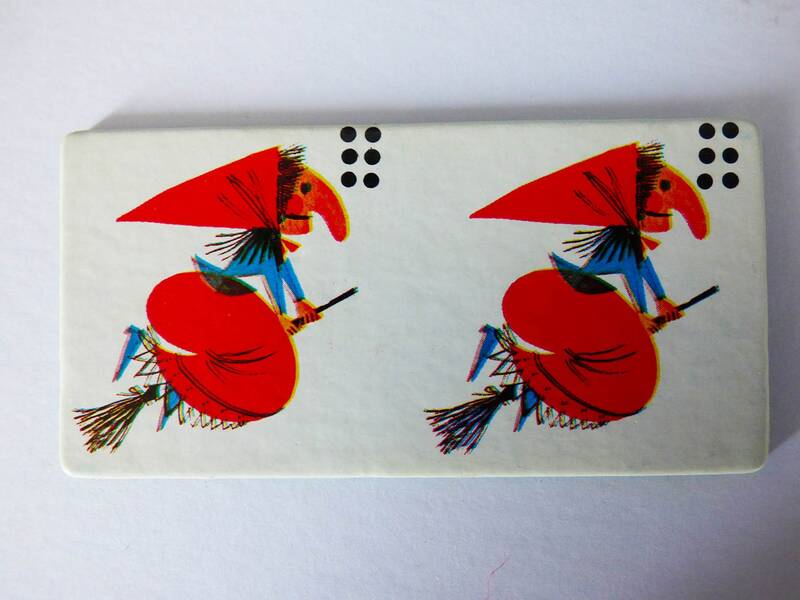 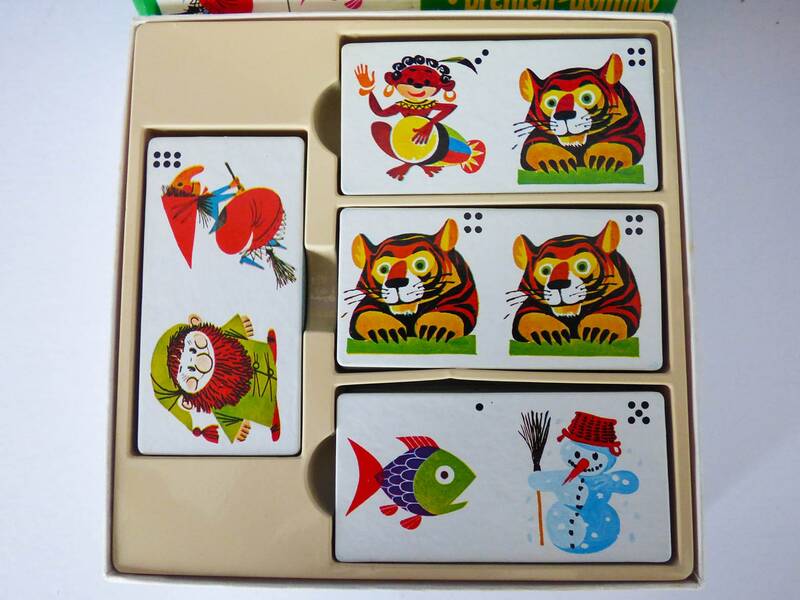 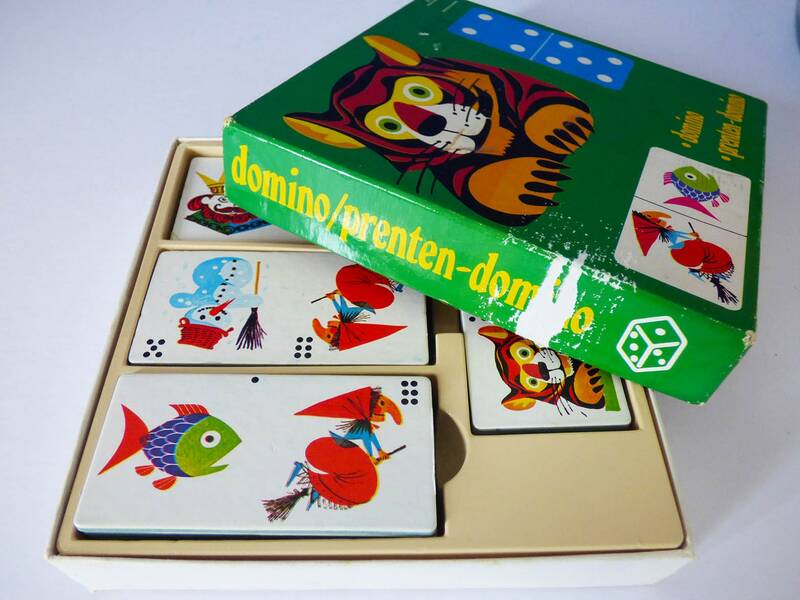 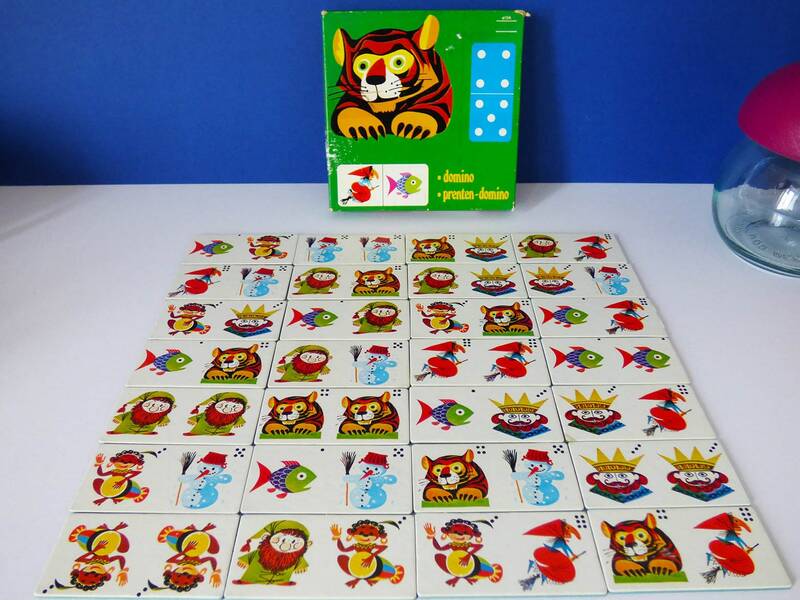 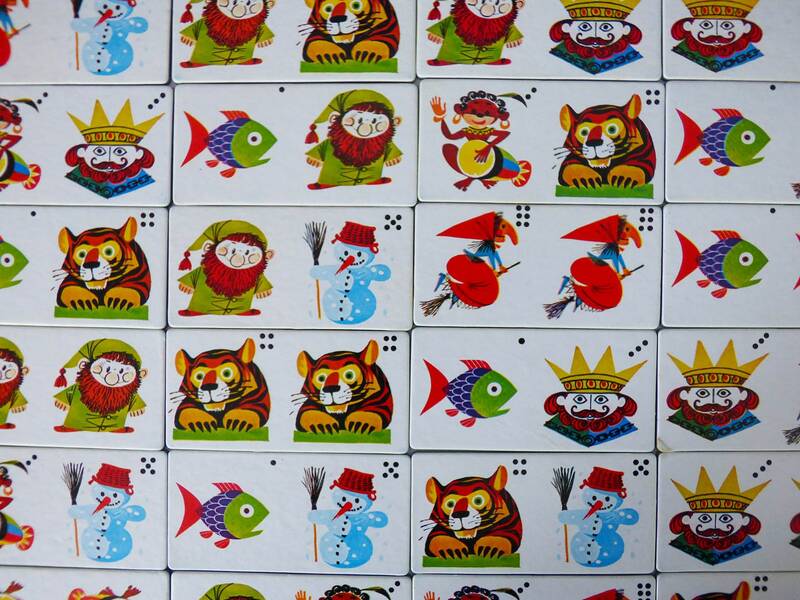 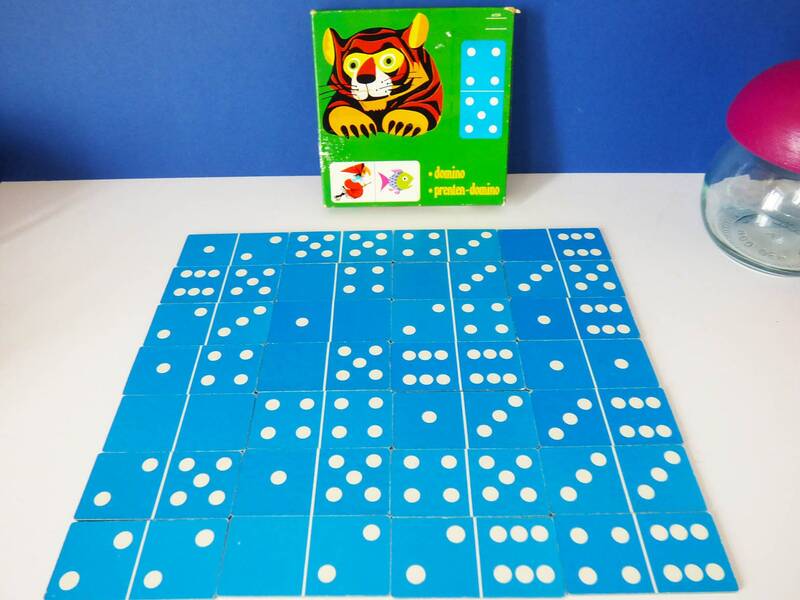 Love the graphic's on this original vintage picture domino's game, the chunky card dominos are double sided so you can play with pictures or dots, a fantastic way for children to learn to count. 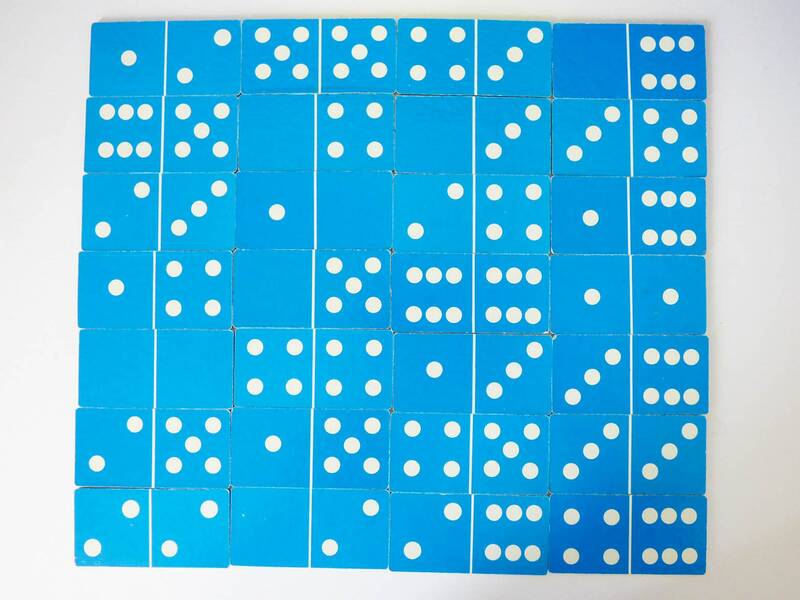 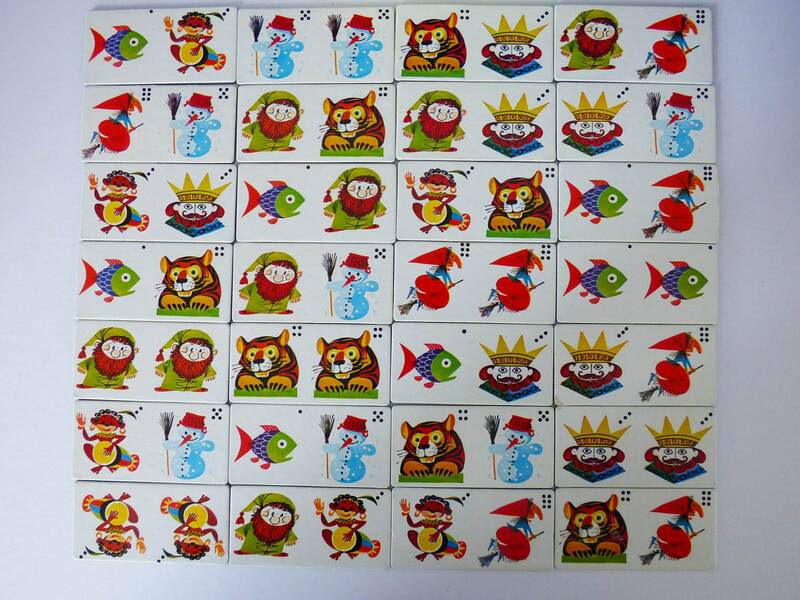 Produced in Holland, there are 28 domino's in total, produced on thick board. 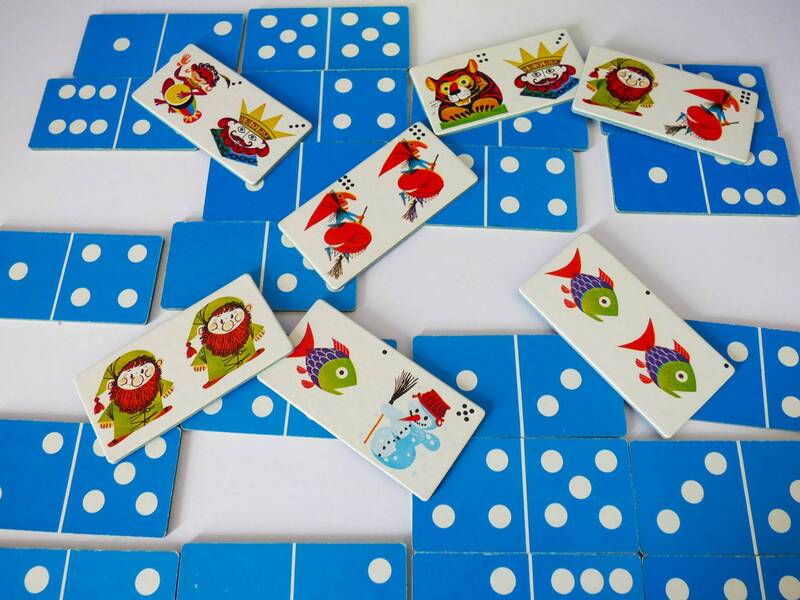 Each one measures 8 cm x 4cm. 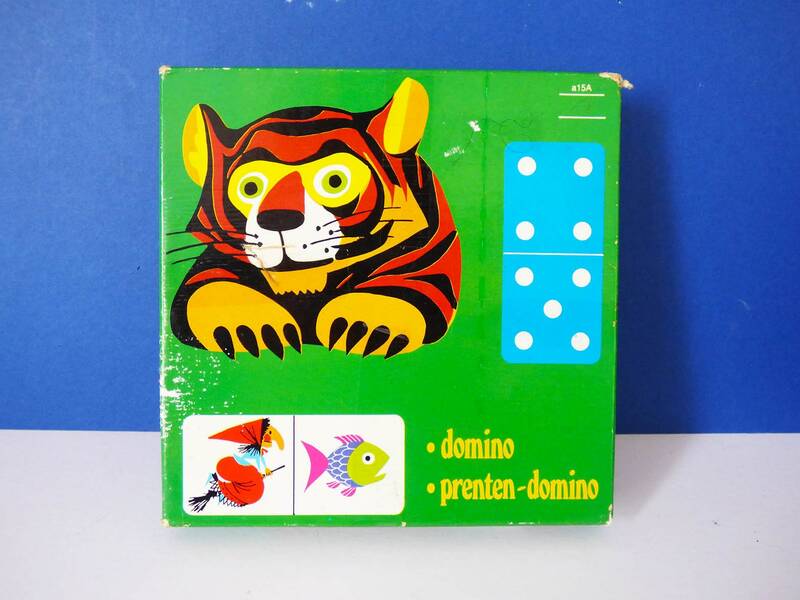 Good condition, but the box is a little worn.